Do you see earthworms in the turf? Do you see earthworm casts on your lawn (small mounds of fresh soil)? Has your turf been wet, and do you see many holes (approx 6mm in diameter)? If you answer yes to any of the above questions, you have observed the signs that earthworms are active in your turf, and this is a good thing. The earthworm is a creature that lives in the upper 300mm of the soil and is beneficial. Soil without earthworm activity is less healthy. The worm itself can vary from 6-200mm long, and is generally brown to reddish-brown in colour. Earthworms are one of the best methods of cultivating and improving soil. They 'eat' soil and thatch in the turf. As these materials pass through the worm, they are mixed and digested. The worm then excretes the soil mixture behind itself. In most cases this happens in the soil, but during the night hours when the turf is cool and wet, the worms are active on the turf surface. In the morning you may see evidence that the worms were active on the turf. Castings, or small piles of soil, will be scattered about on the turf. A casting is the soil and thatch that the worm ate the night before. It is beneficial. A healthy turf has lots of worm activity. You can potentially find them in your new turf from Rolawn because good quality turf is produced on healthy soil containing worms. If your new turf has signs of worm castings or small muddy spots (flattened worm castings), smile and say nothing. Turf with worm activity is worth more than turf without this activity. Let the muddy castings dry, and brush them back into the turf. Do not keep your turf soggy. Maintain proper mowing and fertilisation. 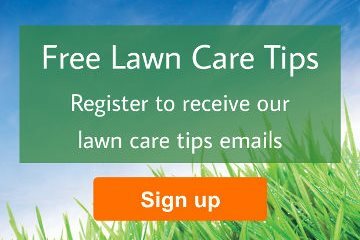 Collect grass clippings to help limit earthworm activity. Give the turf time to grow and mask the worm castings. A topdressing with a high sand content to lower moisture content and increase the abrasiveness of the soil. Acidifying materials in lawn fertilisers and iron sulphate or suppressants such as CastClear® to reduce the pH of the soil. There are no longer any lumbricides approved for use on garden lawns and chemical controls which were approved for use by turf growers and groundsmen have now also been withdrawn. Don't be tempted to use a garden hose to wash the castings back into the turf, as you may actually force even more worms to the surface because they cannot breathe in wet soil. Earthworms are a little messy, but they are beneficial for your turf and are an important part of any garden ecosystem.